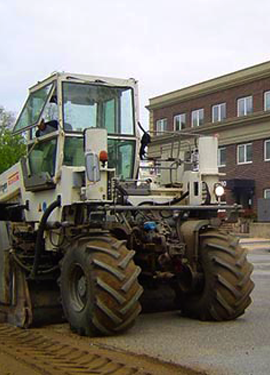 Hempstead Asphalt Contractor - DuMor Construction Inc.
Commercial property owners always contact DuMor Construction for all their parking lot paving in Hempstead, because we have the experience, training, and certification to provide the best asphalt services to our clients. We are a family owned and operated asphalt contractor that thrives on superior customer service. We will always meet our client’s expectations and if for any reason we don’t, then our clients can contact us and we will make it right. 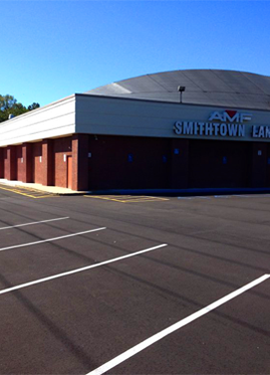 We provide a wide range of asphalt services to meet the commercial property owner’s needs in Hempstead. We can inspect your parking lot, go over your concerns, and then provide options for your asphalt problems. 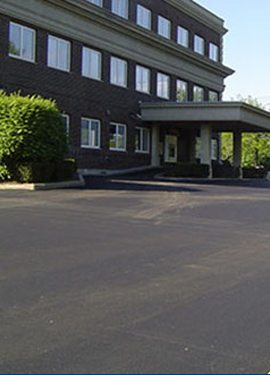 Our asphalt maintenance programs will ensure a long life for your paved surface. Hempstead is located on western Long Island, New York. The town has a population of 759,757. The town was first settled in 1644. English settlers purchased land in the area from local natives. The town contains twenty two villages and thirty seven hamlets. The town has a rich heritage that dates back to the early 1600’s. To learn about the history of the town visitors can go to the Hofstra University Museum, the African American Museum, and the Caribbean Heritage Museum. Each of these museums have exhibits and displays along with educational programs that allows visitors to learn about the history of this town. The Town Park at Point Lookout is where visitors can enjoy the beach and lookout over the ocean. The park has picnic areas, a playground, and a public beach. Visitors can see the beauty of this town by going to the Town Park at Point Lookout. Kennedy Park and Hempstead Lake State Park are two additional great parks in the town. There is basketball and tennis courts, playgrounds, walking trails, and beautiful trees and flowers where everyone can relax. Adults looking for exciting nightlife can go to the Obsession Nightclub, which is known for the best Latin club experience in the town, or the Area 516 Night Club, Dizzy’s, or McHebes, which is claimed as the happiest place on the Earth. Miranda’s River Café or the La Hacienda Restaurant are two of the top favorite restaurants in the town that residents and visitors rave about. The residents rave that these two restaurants have excellent food and the best service in the town. Whatever you are looking to do while visiting this town, you will surely find it and more. 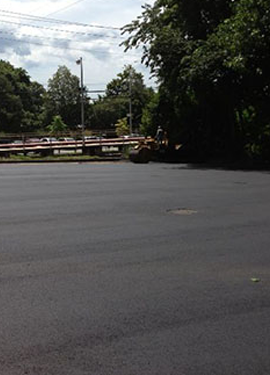 DuMor Construction is the commercial asphalt provider that provides the best asphalt services in Hempstead. Contact us today to schedule a complimentary consultation. Recently, we got a call from a retail homegoods store that wanted to make sure their parking lot was in really good shape for their upcoming end of summer sales. They wanted to be able to display some of their goods on the sidewalk, but they quickly realized that this would bring more attention to their cracked parking lot. They called us in to do parking lot maintenance in Hempstead We ended up doing crack sealing, sealcoating and remarking here. A couple of our asphalt experts met with the store owner to take a look at their parking lot, then provide them with an estimate. The parking lot wasn’t in terrible condition, but just needed some parking lot maintenance performed. We gave the store owner an estimate that he was happy with, then he scheduled us to start as soon as we could. the parking lot maintenance was underway! The crew arrived to the location and they were all happy to see that the sun was shining and not a cloud in the sky. The crew started cleaning the parking lot thoroughly to remove all the dirt, debris, and chemicals from the asphalt surface. This is an important step, so the crack sealing and sealcoating would adhere to the asphalt surface. Once the crew had the surface cleaned they began filling each crack with hot asphalt. The hot asphalt was compacted into each crack. When the crew had all the cracks filled they started sealcoating the entire parking lot. The crew had the parking lot seal coated, then returned the following morning. The crew returned the next day and began remarking all the parking spots on the parking lot. Our crew uses an airless striping machine, so the customer would have a high quality marking. 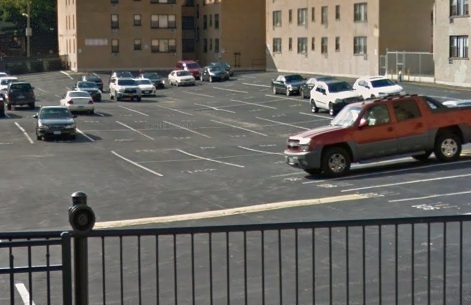 We know the requirements that is required for the ADA (Americans with Disabilities Act) and we made sure the precise number of accessible parking spots were done. Our crew would rope off half of the parking lot, so they could get those parking lot markings done, then they let it dry for thirty minutes, then the crew would rope off the other parking lot, so they could get it finished. The crew wanted to make sure that the parking lot had parking available for customers that wanted to go into the homegoods store. Our crew understands the importance of allowing our client’s business to be open, which is why they roped off half of the lot, then the other until the entire project had been completed. 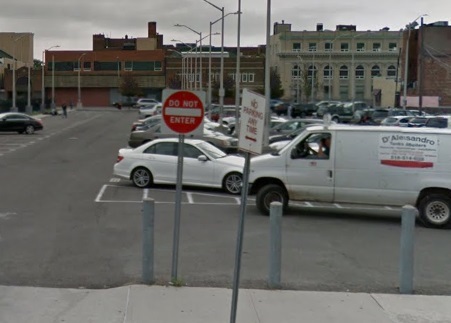 The Hempstead parking lot maintenance was finished for the client on time as scheduled. The parking lot transformed and brand new, but without the cost of installing new asphalt. The client can now have his big sidewalk sale and be proud of his parking lot.